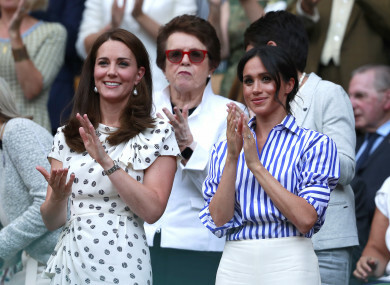 BRITAIN’S ROYAL FAMILY warned trolls on its social media accounts that they will be banned under new guidelines issued following abuse of Kate Middleton and Meghan Markle – the Duchesses of Cambridge and Sussex. Under the new guidelines, comments must not “be defamatory… obscene, offensive, threatening, abusive, hateful, inflammatory or promote sexually explicit material or violence”. Email “Royal family launches its own social media rules to deter trolls from abuse”. Feedback on “Royal family launches its own social media rules to deter trolls from abuse”.